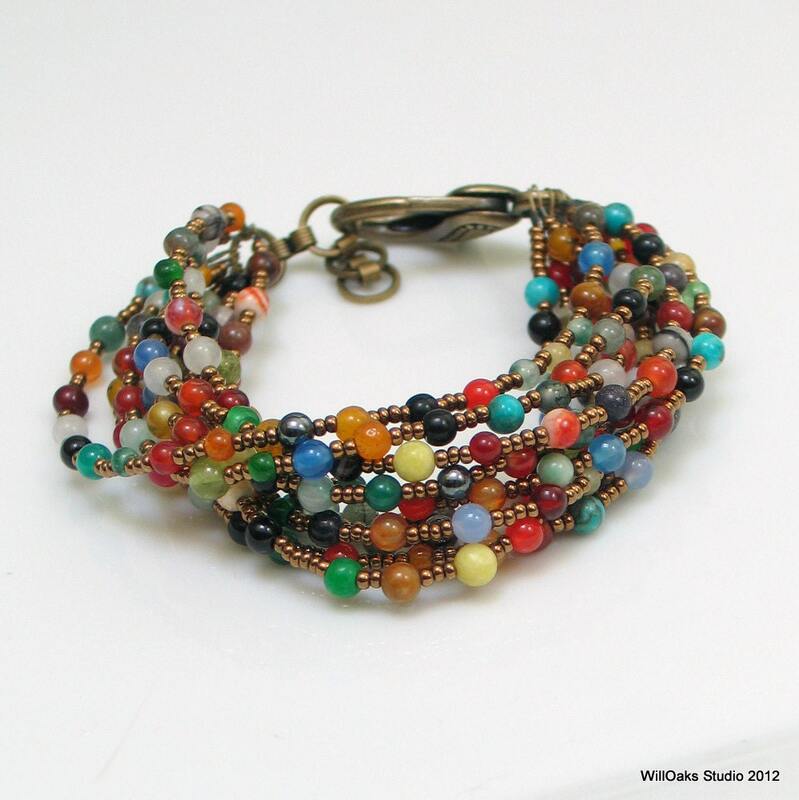 Bright, lovely colorful stones just glow against a dark antique gold background--a whole cluster of strands for a bold statement bracelet. This beaded cuff is rich and colorful, with a Bohemian flair. It's part of my Tapestry Series, featuring mixed stone beads and agates with dark gold metallic Czech seed beads and a large, bold lobster style clasp. 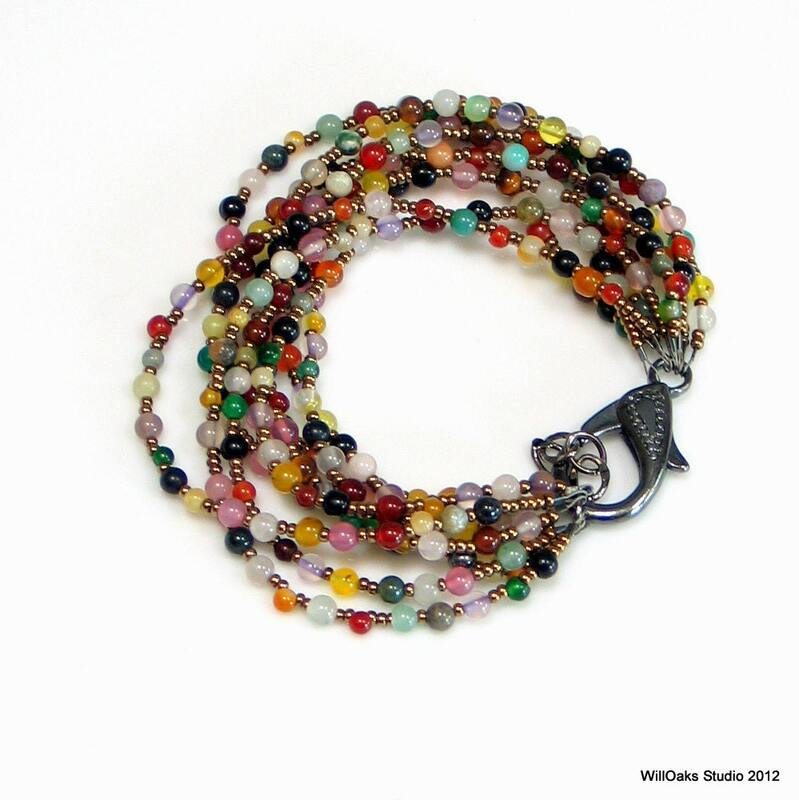 The colors of a rainbow-the feeling of nature-9 individual strands each secured to an oversized clasp on one end and an extension chain on the other. 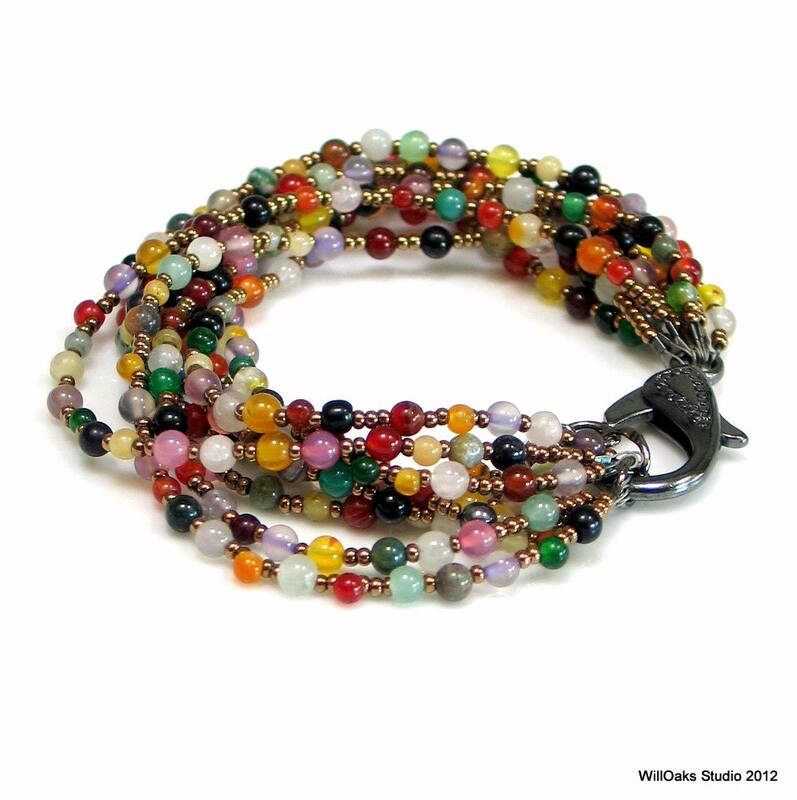 The thick cluster of bead strands measures about 8" stretched flat and can also be worn twisted for a different effect. With the extension chain, the length can be easily adjusted from under 8" to almost 9". 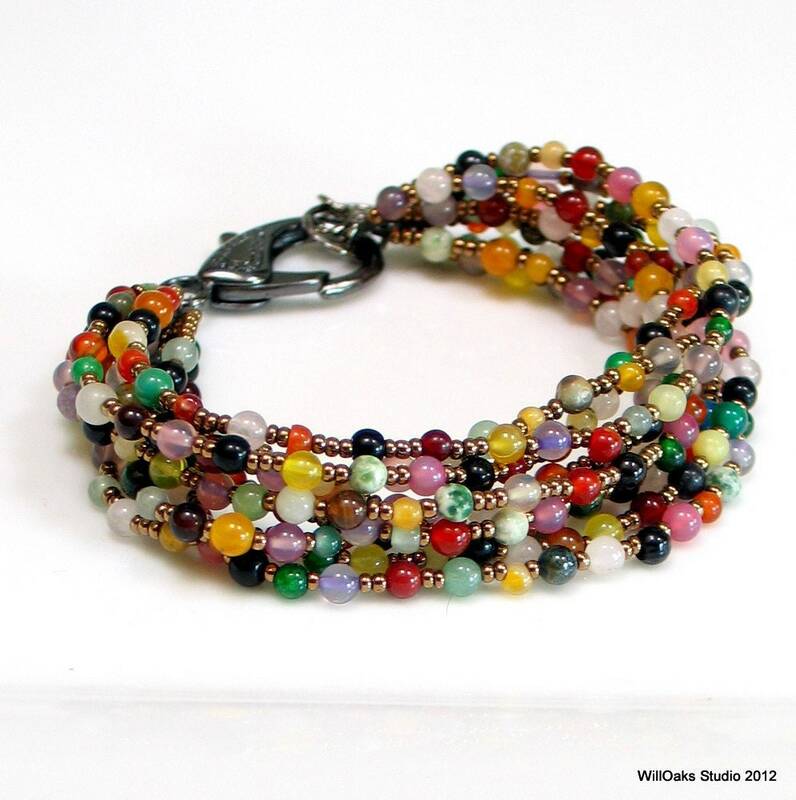 The 3 mm to 4 mm stone beads are natural and dyed agates, quartz, and other stones used in random mixtures, balanced for a full spectrum of colors, but each bracelet will be a unique mix, similar to the photos of the pieces in my Tapestry Line. The 8" length fits most wrists to accomodate the thick cluster of strands, and can be adjusted to be worn longer with the extra links in the chain. 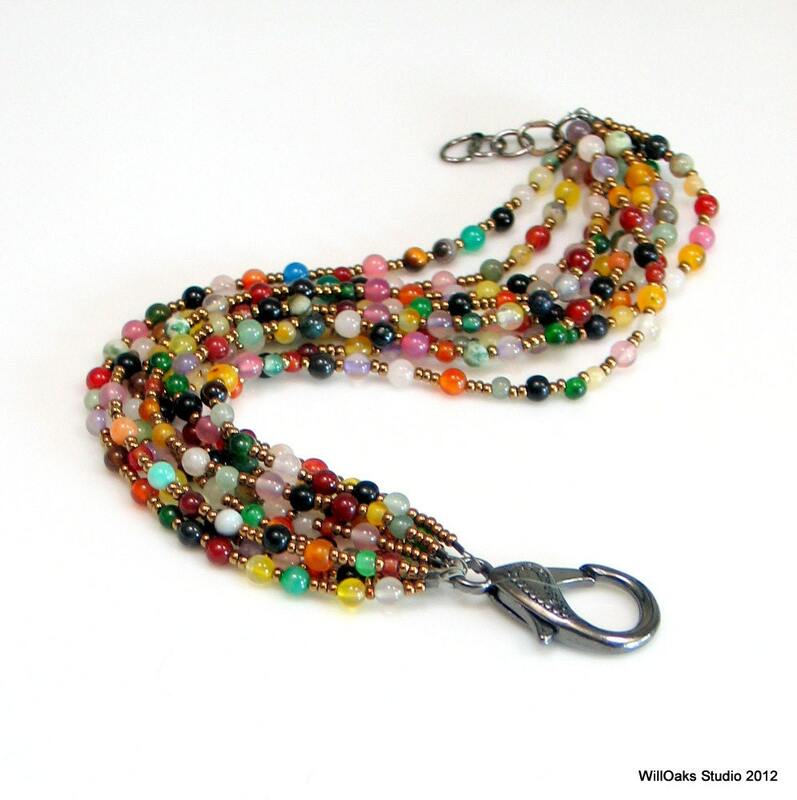 The antique gold colored Czech glass seed beads create a rich metallic depth to this tapestry of color. The metal clasp and chain are available in your choice of gunmetal gray or antique gold colors.